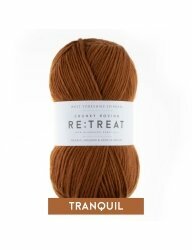 It is with a real sense of achievement that we launch the latest addition to our best of British yarns collection - Re:treat. 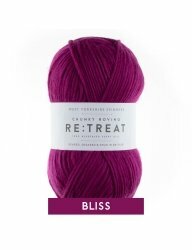 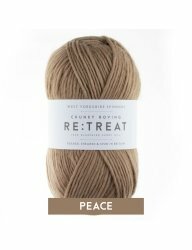 With a roving quality and a soft twist that glides off the needles, Re:treat creates smooth, light fabrics with a luxurious silky texture. 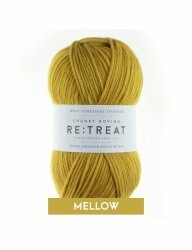 Re:treat proudly bears the new British Wool logo, a guarantee that it is British to the core from sheep to showroom. 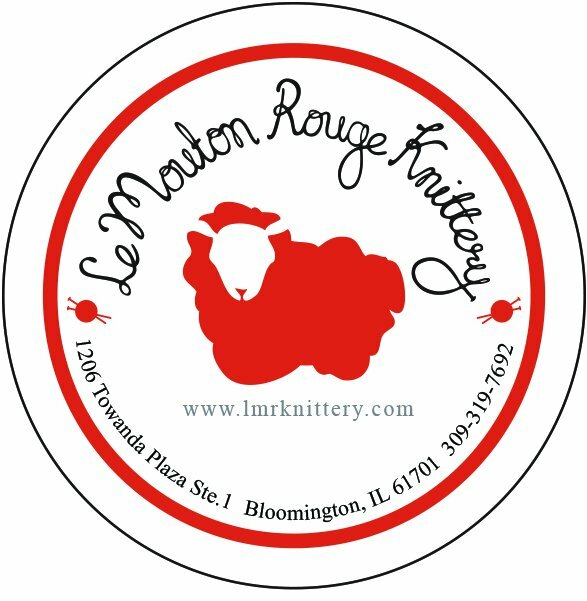 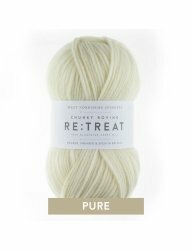 The wool selected to make Re:treat comes from an exciting cross breed of Bluefaced Leicester - famous in British hand knitting for its soft handle - and Kerry Hill – renown for its distinctive markings and clean white fleece. 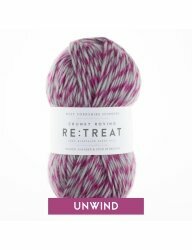 Our craftsmen have used all of their expertise to transform the Bluefaced Kerry Hill fleece into one of West Yorkshire Spinners’ most beautiful and exciting new yarns. 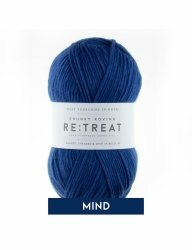 Spun with skill and care, Re:treat proudly flies the flag for the unbeatable quality of British yarn today. 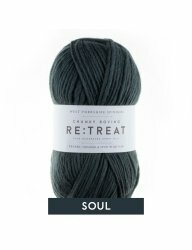 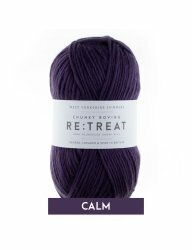 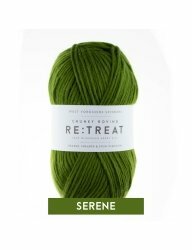 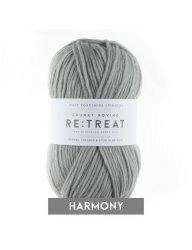 In a combination of 11 calming and uplifting harmonious shades - and two marled colour-ways - Re:treat is the perfect yarn to relax and unwind with. 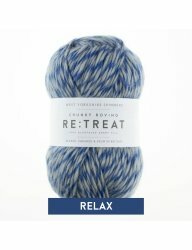 The Perfect Re:treat pattern book is a collection of 12 sumptuous homewares, cosy jumpers and snug accessories designed by Georgia Farrell. 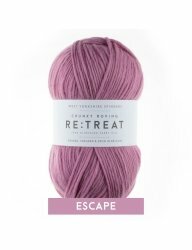 Whether your escape is to unwind with a quick-knit or to challenge your mind with a range of textures & detail, this collection has something for all moods.